All purpose cart for easy transportation. 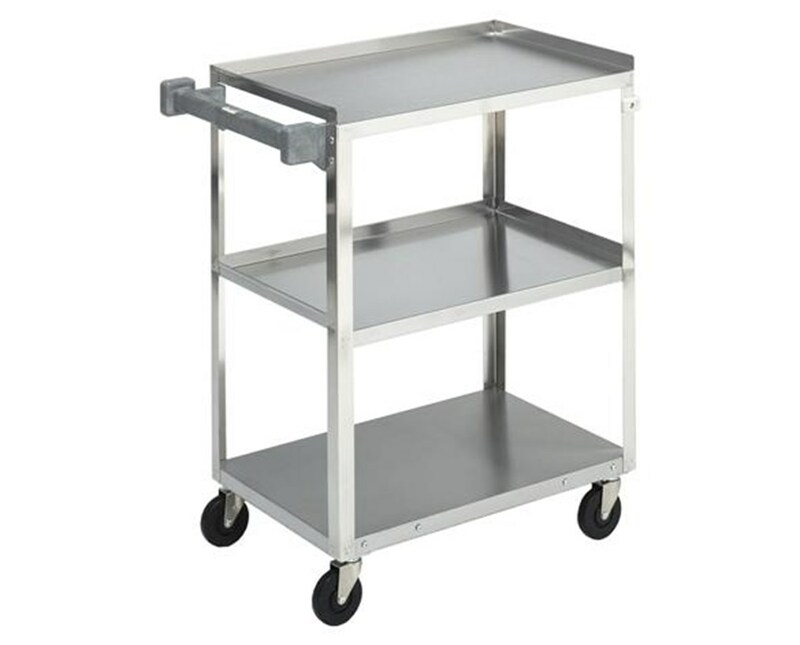 The Brewer stainless steel all-purpose cart provides a solid, durable stand with three stainless steel shelves (15.5” W x 24” L) roomy 12" between shelves. 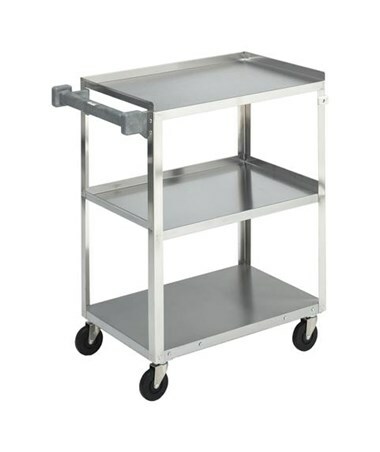 Quietly moves from lab to bedside thanks to its 3.5" rubber wheel casters. All Brewer carts come with a 5-year warranty. Total Weight Capacity: 300 lbs.